Tumi Holdings Inc (NYSE: TUMI) shares reached a new 52-week high of $27.75. Samsonite is near a deal to acquire Tumi Holdings in a deal that could be valued close to $2 billion, the Wall Street Journal reported. Cascade Microtech, Inc. (NASDAQ: CSCD) shares rose 0.82 percent to touch a new 52-week high of $20.81. Cascade Microtech shares have gained 67.80 percent over the past 52 weeks, while the S&P 500 index has declined 5.45 percent in the same period. 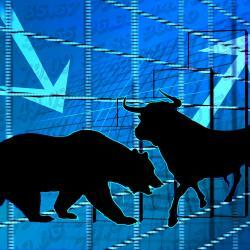 Superior Industries International Inc. (NYSE: SUP) shares gained 1.91 percent to touch a new 52-week high of $21.29. Superior Industries is expected to release Q4 financial results on March 7th, 2016. Universal Forest Products, Inc. (NASDAQ: UFPI) shares reached a new 52-week high of $80. Universal Forest Products shares have surged 51.04 percent over the past 52 weeks, while the S&P 500 index has declined 5.45 percent in the same period.